The "No-Workout" Workout - Eat. Fit. Fuel. Many of these may seem obvious, but doing these 3 simple things on a daily basis can actually take the place of working out. However, the limited hours in the day can make it almost impossible to do this every day, but on days when you have a bit more free time, replace your normal workouts with some of these activities and you won’t be sorry! Long before there were gyms or workout classes, people actually kept their bodies in pretty good shape simple by doing things. 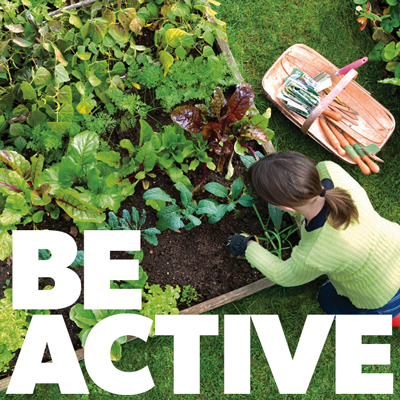 If you can do something somewhat active everyday, like cleaning your house, gardening, yard work or simply running around outside with your kids, you’ll get a pretty decent workout. I’ve taken up gardening and I can you that all that squatting and digging really works my muscles. And if you’ve ever chased kids around, you know that’s a pretty good workout too!